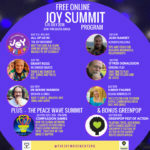 Free Online JOY Summit: Re-birthing The Joy Movement – with a global JOY SUMMIT – carrying the collective intention of supporting and co-creating more love, ease, grace, peace, joy & humanKINDness in the world – so that we can celebrate it manifest for all beings and all things! 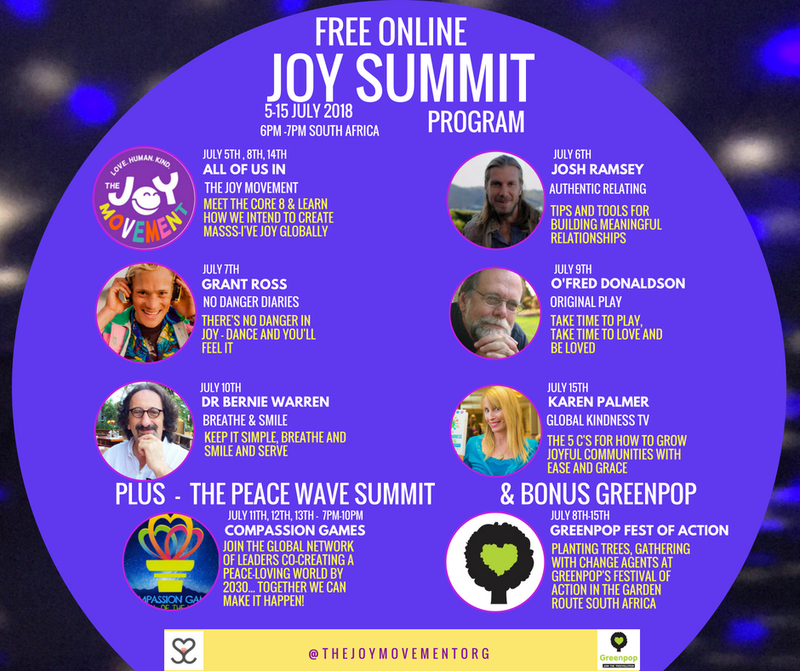 The Joy Movement has been running for 14 years (known also as The UPliftment Programme in South Africa), this amazing organisation has grown from sharing joy in hosptals and homes – to nowadays being held by a dynamic group of 8 powerful individuals. 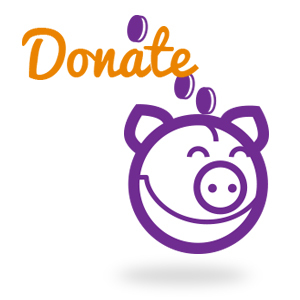 It is our intention to co-create a global Joy Movement that unites and supports humanKIND to be both human and KIND. We are thrilled to introduce ourselves to the world, and to share with our growing joy family, the local and international mentors who’ve helped us evolve the sharing of JOY in South Africa and the world. In this summit, we will share our collective dream of a peace, loving, kind and joyous future. We will also cross-pollinate with the Peace Wave Summit on the 11,12th & 13th of July – as we honour that the same global players with a stand to co-create a peaceful world by 2030… Peace, compassion, care and kindness are JOY’s best friends. May this be the first of many inspired waves of joyous change and co-creation – where all thrive and Win!